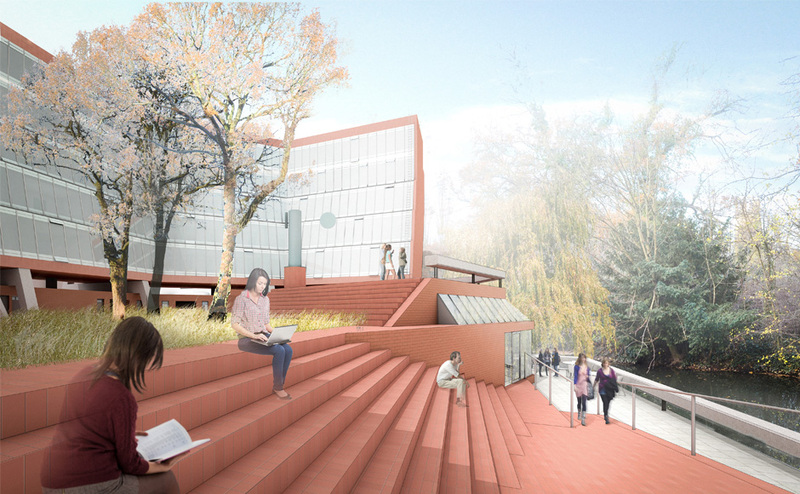 Avanti Architects have been selected as winners of a competition to redesign James Stirling’s iconic Florey Building of Queens College, Oxford. The 40 year old grade II listed building is often referred to as a modernist triumph and one of Stirling’s best regarded buildings, enjoying a ‘cult presence’ in Oxford. The win builds on Avanti’s extensive experience in university and further education campuses and listed buildings including North Court, Jesus College, Cambridge and the Western Bank Arts Tower and Library at Sheffield University.